Not sure what you are looking for just yet? Search our entire available inventory to find the right place for your next trip. Properties are also sorted by location, number of bedrooms and as well as easy ski access for ski in ski out options and luxury! Start searching to find the perfect Big Sky rental! 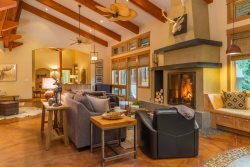 Most of our Big Sky vacation rentals are conveniently located to other area activities, attractions, dining and shopping experiences. Start searching for your Montana rental and begin planning your Big Sky vacation today!